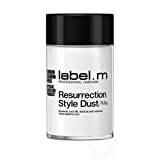 Label.M Resurrection Style Dust (3.5g) Volumizing & Thickening Powder Adds Lift & Fullness. Extreme Root Lifting. Thin & Fine Hair Types. Instant Volume And Lift: This amazing dust will add maximum volume and root lift where ever it is applied. Add this product to dry hair at the crown area, bangs or through the hair and work in with fingers. You will have lift anywhere the product touches. Use on dry hair..
Thickening And Add Fullness: This protein rich formula immediately grabs onto the hair shaft and begins to swell and grow the cuticle. This action makes hair appear and feel fuller giving you better scalp coverage and amplifying your look and style. Excellent for thin, thinning or fine hair types..
Oil Absorbing And Refreshing: Using this product can be super effective in the control of oily hair. Add to the scalp or anywhere oil tends to be an issue. This oil weighs down the hair, can be embarrassing and ruins your hair style. A couple of shakes and oil is immediately absorbed and the hair feels refreshed and clean.. Simple To Use: Apply this product anywhere you want to see volume or reduce the amount of oil at the scalp. Dust from roots to ends to get maximum amplification to your style or set the base for an evening style. Great for updos, evening and wedding styling..
Portable: Perfect for the person on the go. Easy to keep in your car, in your desk or in your purse. Simple to use and to take anywhere. Perfect for travel and an instant pick me up for your style. 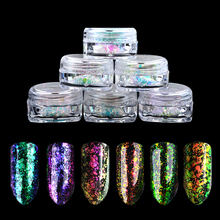 This product is excellent for women and for men. Works on short hair, medium length hair and long hair for added volume and fullness..
Unite EXPANDA Dust is designed to create more volume and texture with just a puff. It’s magic! 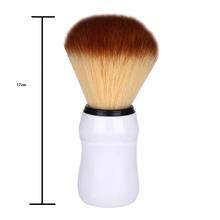 With just a puff you can get more volume and texture than you’ve ever imagined! You’ll never go flat again! Texturizing powder that provides weightless lift at the root and ultimate texture all over. ; Instant volume and texture with incredible memory that lasts for days. ; Colorless and odorless in hair. 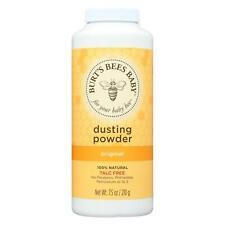 ; Lightly sprinkle or 'puff' onto dry roots and throughout hair for overall texture. 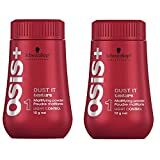 Schwarzkopf OSIS+ Dust It Mattifying Powder 0.35 oz..
For strong rough & matte results..